Running Tours Copenhagen gives you guided running sightseeing tour around Copenhagen. Whether you are fast or slow or if you want to go for a long or a short run - we will find the perfect pace and the perfect route. Included in the tour are photos of you at the main sights, a great guide who will recommend you the sights, sounds and flavours of wonderful Copenhagen. Also you will learn about the history of our old Capital and maybe even recent Copenhagen gossip. Look around our site to learn more or book now. Our tour starts at City Hall Square in the centre of Copenhagen. We can also arrange pickup from your accommodation. 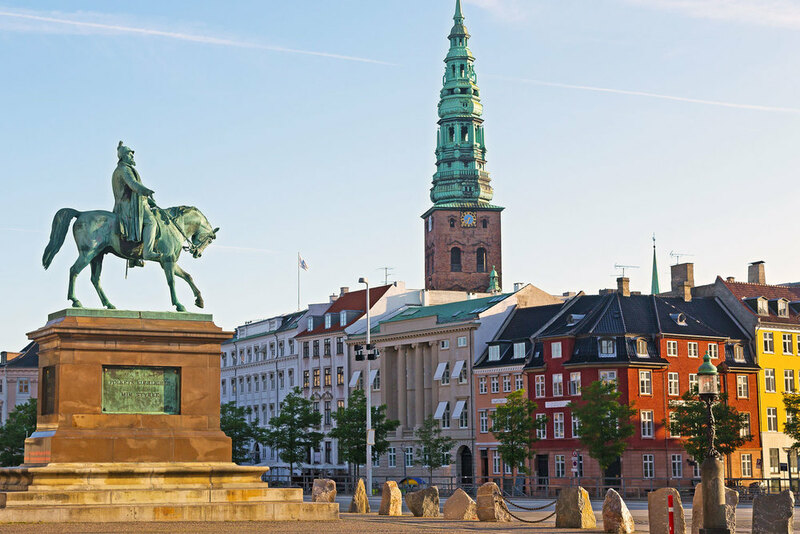 On this tour you will see all of the must-sees in Copenhagen. From renaissance architecture, to the little mermaid. You'll see the colorful New Harbour and experience a variety of the very modern new Copenhagen structures. This is the Grand Tour and a perfect way to start you holiday and after a Grand Tour, you deserve a grand meal. This tour is just 6k - so even if you have just finished your Couch-to-5k program, have no worries, this tour is for your. You'll still get a view of many of the big sights on this one and still be fresh enough for exploring on your own afterwards. Pick this tour if you are brave. Pick if you would like to see 5 of the absolutely most classic Copenhagen bars & pubs, some dating back to the 16th century. We will be running from bar to bar and each bar will have if its own special story and significance in Copenhagen and danish history. If you'd like it and of course you would - there will be a tasting of the great traditional liquids served in these bars. This run is also shorter than the Grand Tour - you will be running in the night though, enjoying the beautiful lit places. See Copenhagen in a special night and don't worry about the summerheat, we'll be starting at 21.30 during summernights when the temperatures are just perfect for running. This part of the city was established by Christians the 4th in 1618 and inspired by dutch city-design principles, 8 years of tax-freedom was used to attract new citizens but today there is no tax-freedom but everyone is attracted to this part of the city. Later came a naval base and even later came the famous free-town Christiania. All the makes for an interesting part of the city, definitely worth a run. Our tour starts at the City Town Hall Square in the center of Copenhagen. We can also arrange pickup from your accomodation. What are people saying about Running Tours Copenhagen? TripAdvisor reviews shows lots of happy people - run with us and experience why. "The Running Tour of Copenhagen is an absolutely must.."
"I booked the running tour for my first morning in Copenhagen. It was the best decision." "Don't be afraid if you're not the "best" runner, as Troels is more than happy to adjust the pace to your needs." "Troels's running tour: enough of a reason to book your flight to Copenhagen NOW"
Included in the tour is a guide that for an hour and a half will navigate you around the most interesting sights and even take you picture when passing a Kodak-spot, the photos will be sent by email to you - after the run. Furthermore the tour is guaranteed to raise your pulse as well as your knowledge of our city. The prices are 50€ per person. The more people, the bigger the discount. Remember: winter, spring, summer or fall - all you have to do is call us at +45 5086 9504 or send us an mail at info@runningtours.dk and we will arrange your Copenhagen Running Tour. To book a tour do not hesitate and write us at info@runningtours.dk or call us at +45 5059 1729. The tour is 10kms usually takes 80-90 minutes - but we can of course adjust the pace to your preferences.